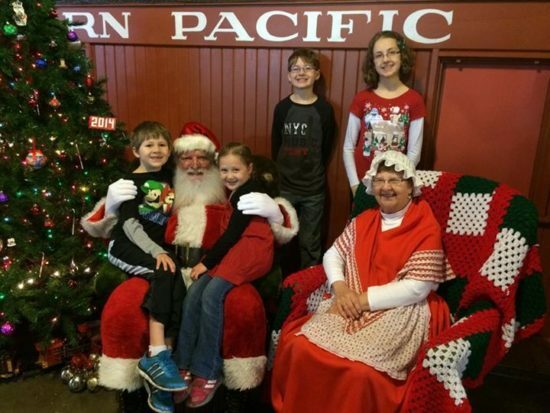 Santa’s Train Shop Discount Tickets – 50% Off! 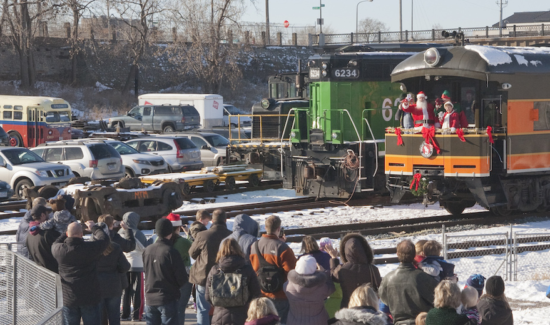 Calling all train lovers, young and old: Santa Claus is taking a train trip, and he’s stopping at the Minnesota Transportation Museum’s Jackson Street Roundhouse! For a few days only, the Roundhouse is transformed into Santa’s Train Shop with fun holiday activities for the whole family. Your little one can sit on Santa’s lap, smile for a photo ($5) and whisper all his holiday wishes in Santa’s ear. You’ll enjoy a holiday train ride, pick out a souvenir in the Blacksmith shop, and tour the Blacksmith and Restoration shops. Snacks and drinks are available in the gift shop. A family pass (valid for 2 adults and up to 4 children) is normally priced at $35, but you can get it for only $17.50 through this link (note that this is for the remaining Sundays only – December 9th and December 16th).